Paul Ryan would not accept the Republican presidential nomination. Paul Ryan Still Refuses to Be President. But Who’s Asking? House Speaker Paul Ryan speaks to the media during his weekly briefing at the U.S. Capitol on March 3. 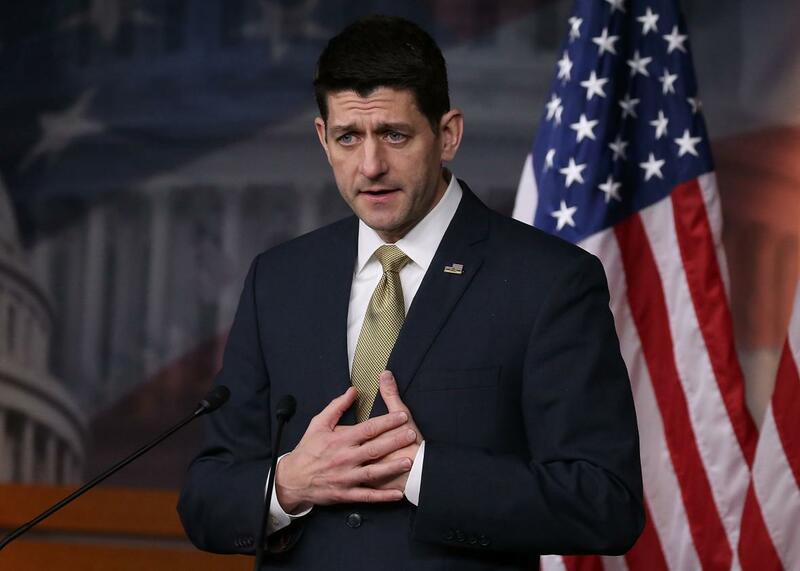 House Speaker Paul Ryan on Tuesday issued his latest Sherman-esque statement that he is not angling in any way for the Republican nomination at a contested convention and wouldn’t accept the nomination if given to him. He added that he believes the rules committee should bar any candidate who hasn’t run for president from consideration at the convention. There wasn’t much else he could say. This only ensures that people will ask him and his staff if he’s running more often than ever, because it’s fun to annoy Paul Ryan and his staff with ludicrous questions about whether he’ll do the opposite of what he’s repeatedly said he’d do. Do these repeated inquiries really annoy Ryan, though? Or is this exactly what he wants—again? The reason people keep thinking he’ll reconsider is the manner in which he ascended to the speakership last fall. He kept saying he wouldn’t do it, but eventually he did—almost as if the ever-ambitious congressman was interested all along but wanted to create the appearance of having been called to serve. If he played the game like that for a lousy gig like speaker of the godforsaken House of Representatives, who’s to say he wouldn’t do the same with the presidency? Though the industry of pundit lapdogs who fawn over Ryan as the sexiest thing in right-of-center wonkery since the Laffer curve will buy his noble self-effacement about how it would simply be improper to accept the job without having run, there’s certainly another factor that suggests he really means it: Unlike the speaker’s election, he believes he would lose the presidential election. It is very difficult for members of Ryan’s fan club to understand that outside of elite Republican donor circles, the pages of Beltway publications, and the green rooms of Sunday morning chat shows, Ryan is not that popular of a politician. Before Donald Trump and Ted Cruz, Ryan—as the author of budgets that slashed entitlements and discretionary spending programs—was the poster boy for Democratic opposition to the obstructionist right. This was just a few years ago. Mitt Romney knew this in 2012 when he selected Ryan as his vice presidential candidate: Ryan was the “risky” choice, but Romney went with him anyway as a means of rallying the Republican base behind the ticket. As Donald Trump’s candidacy has proved, the Republican base isn’t necessarily all that interested in cutting entitlements after all. Ryan is no more popular with Democrats now, of course, but he’s also not as popular with the Republican base now that he’s a member of the supposedly do-nothing, amnesty-loving congressional leadership. Those brewing negative feelings among the base would almost certainly explode if Ryan, having competed in no primaries, were to swoop in at the convention and “steal” the nomination from either Trump or Cruz. Ryan may not be the epitome of serious policy thinking that his elite adorers imagine him to be—he’s basically the personification of elite Republican donors’ interests—but he does have a considerably sounder political mind than they do, and that’s why he wants nothing to do with this hot mess.